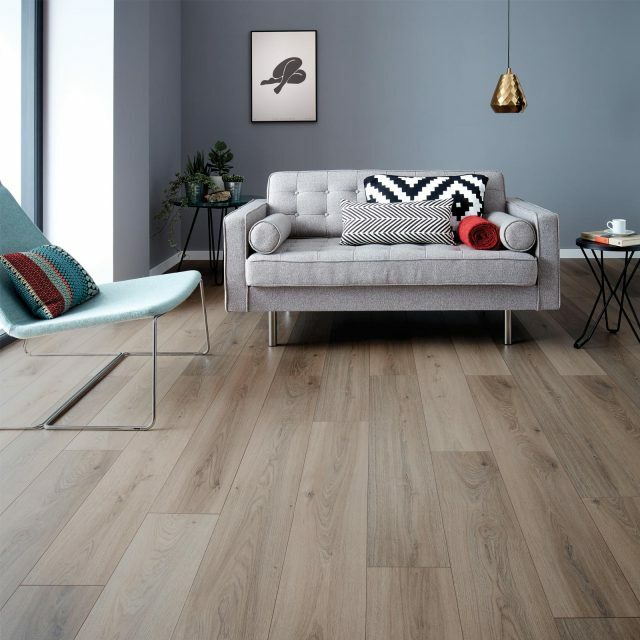 If you’re yearning for a new floor but real wood is out of your budget, laminate flooring is a great alternative to consider. The following highlights the key reasons why laminate may be the perfect solution for you. Thanks to modern technology, it’s a real contender for real wood, with an authentic look and feel minus the price tag. 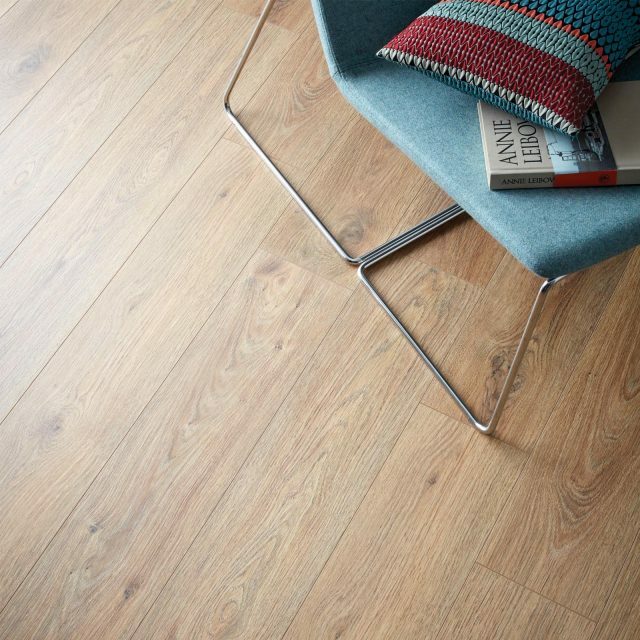 Our laminate floors look and feel even more like real wood because they have an embossed surface which adds a lovely texture underfoot, ensuring comfort and style as well as practicality. Laminate flooring is durable and scratch resistant with a high stain resistance. The low maintenance and ease of cleaning makes the flooring a great choice for families with children and pets too. We have our very own Cleaning Kit to keep your laminate floor in tip top condition; a mop and a sweep is all it takes! The box includes our specially formulated Cleaning Liquid and a gentle spray mop with a refillable cartridge and washable cover. We’ve also popped in our Floor Cleaning & Care Guide, which is full of tips to help you ensure your floor looks its best and lasts even longer. Another advantage of laminate flooring is that it does not hold any mold or pests. Therefore it’s a great option for allergy sufferers. If you’re in search of a quick and easy change over, the versatility of laminate means that it can be laid on underlay over the majority of existing surfaces. Our Easiloc system enables fitters to lay your laminate floor without the use of glue within a considerably short time scale; resulting in a new floor in no time! Like what you see? 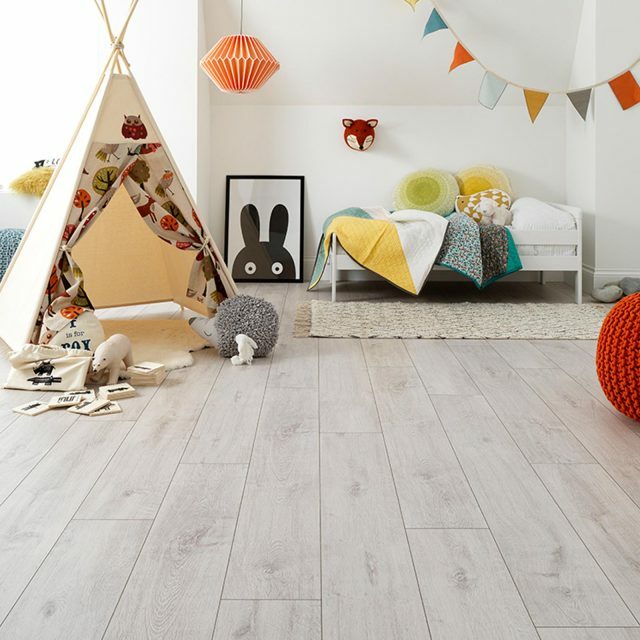 Explore our laminate flooring collection and discover your favorite style today. For a sneak preview, order your free sample online and for further information, visit your nearest showroom or speak to one of our friendly advisors.